Rama Navami, one of the biggest Hindu festivals in India is celebrated on two dates this year. It was celebrated on April 13 (Saturday) by those following Hindu calendar while followers of Vaishnava calendar will observe Rama Navami 2019 on April 14 (Sunday). 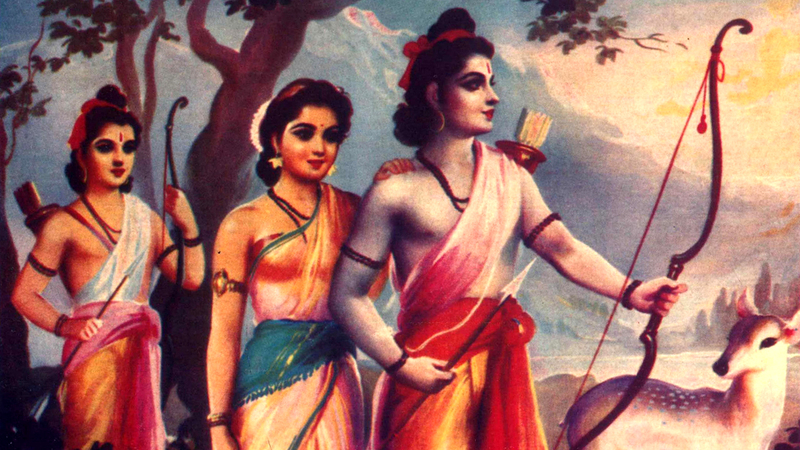 Lord Rama was born to King Dasharatha and Kaushalya in Ayodhya, a city in the Indian state of Uttar Pradesh. Rama Navami which goes by Sri Rama Navami or Rama Jayanthi is also a major festival in South India, especially in Tamil Nadu. To celebrate the auspicious day, we bring you a collection of Rama Navami 2019 greetings, messages and wishes in Tamil, Hindi and English. You will also find Happy Ram Navami WhatsApp Stickers, Shree Rama GIF images, Facebook photos, Ram Navmi WhatsApp messages, Rama Navami SMS and quotes. 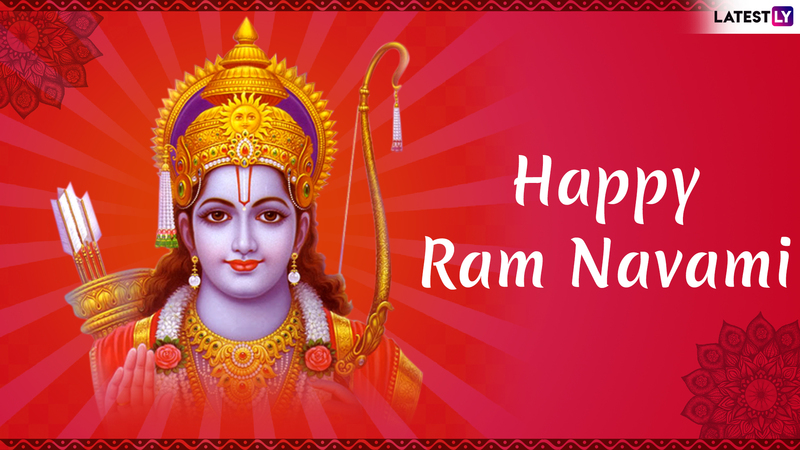 Rama Navami Images & Shree Ram HD Wallpapers for Free Download Online: Wish Happy Ram Navami 2019 With GIF Greetings & WhatsApp Sticker Messages. Rama Navami is a part of Chaitra Navratri, the nine-day spring festival dedicated to Goddess Durga. 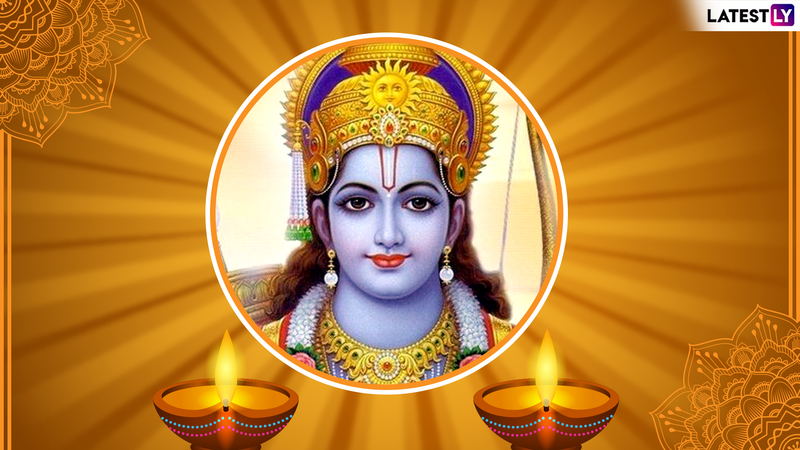 It marks the birth anniversary of the seventh avatar of Lord Vishnu in human form. 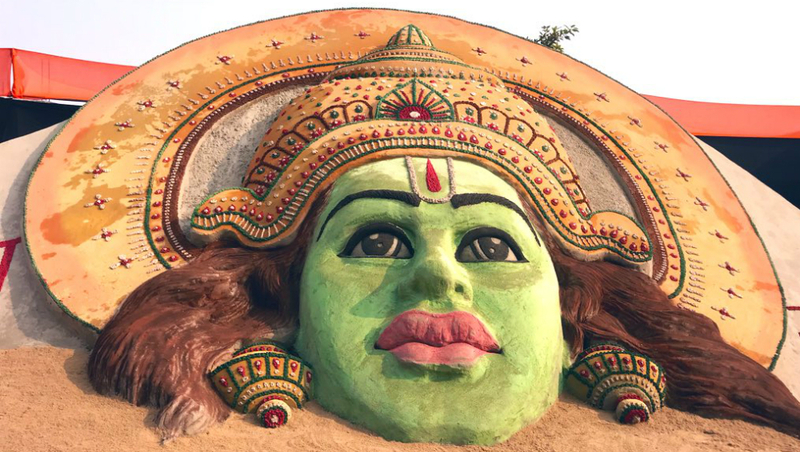 Rama was born on the ninth day (Navami tithi) of the bright half (Shukla Paksha) in the Hindu calendar month of Chaitra, which corresponds to the months of March or April as per Gregorian Calendar. Shree Rama is a major deity in Vaishnavism (also called Vishnuism), one of the major traditions within Hinduism along with Shaivism, Shaktism, and Smarthism. His followers known as Vaishnavas follow a Vaishnava calendar, and celebrate Rama Navami according to the mentioned tithi. You can learn more about Ram Navami 2019 Date & Time in India and When Is Ashtami-Navami & Significance? Rama Navami Shubh Muhurat and Puja Vidhi. Coming back to Rama Navami greetings and wishes, which everyone looks forward to exchanging on the festival day, you will find it below. 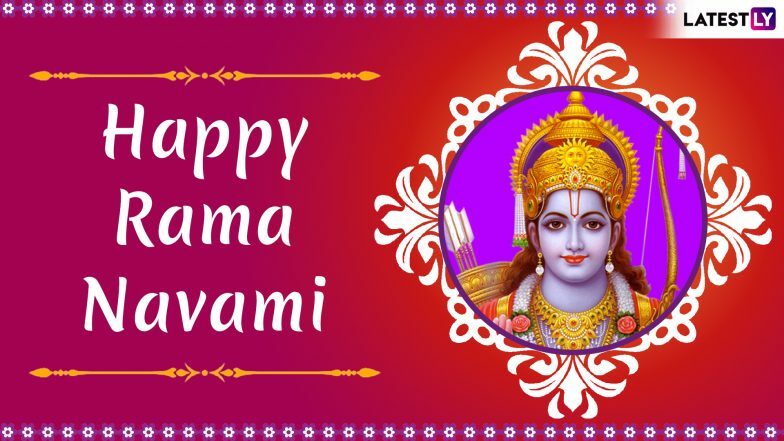 There are beautiful images of Shree Rama, Rama Navami wishes, Rama Navami images, Rama Navami greetings, Rama Navami WhatsApp Stickers, Rama Navami messages in Tamil, Sri Rama Navami wishes and SMS in Tamil, Rama Navami messages in Hindi, Sri Rama Navami images for free download in HD, Rama Navami SMS, Happy Rama Navami GIF greeting videos, Rama Navami wishes in Hindi, Shree Rama photos, Jai Shri Rama images with quotes, Jai Shree Rama images wishes, and more. 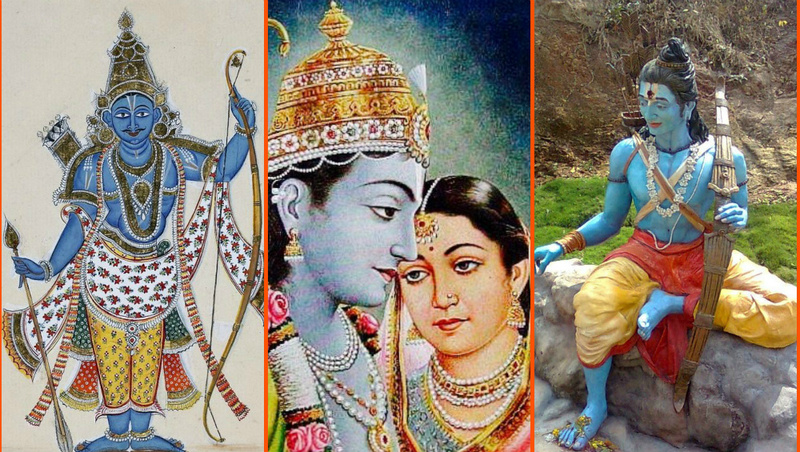 Rama Navami 2019 Song Videos: List of Devotional Shree Ram Songs in Hindi to Celebrate the Festival. WhatsApp Message Reads: On this Holy Occasion of Rama Navami, I am wishing that blessings of Shri Ram be with you. Your heart and home be filled with happiness, peace and prosperity. Happy Ram Navami! WhatsApp Message Reads: May You Be Blessed on the Birth of Lord Rama to King Dasharatha and Queen Kausalya of Ayodhya! A Very Blessed Ram Navami to You N Ur Family. Ram Navami 2019 Messages in Hindi: WhatsApp Stickers, Jai Shree Ram Images, Quotes and GIF Greetings to Wish on Last Day of Navaratri. WhatsApp Message Reads: “Happy Ram Navmi”. 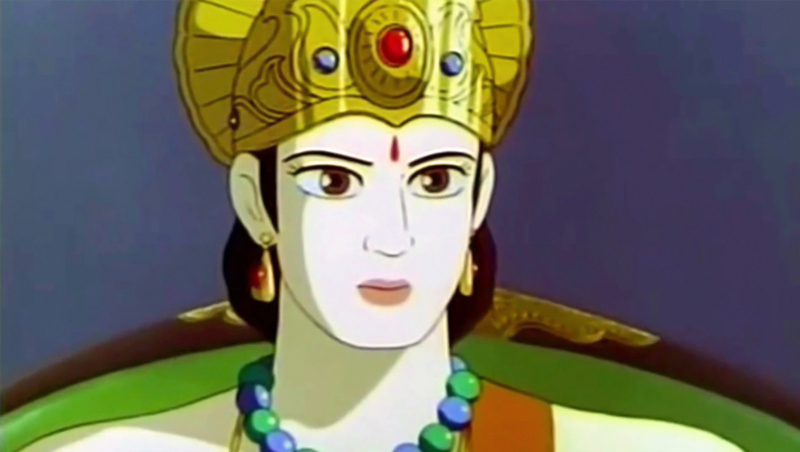 Ram Jinka Naam Hai, Ayodhya Jinka Dhaam Hai, Aise Raghunandan Ko, Hamara Pranam Hai, Aapko Aur Apke Parivaar Ko Ram Navami Ki Haardik Shubhkaamnaye. WhatsApp Message Reads: Naumi Tithi Madhumaas Punita Shukla Paksh Abhijit Nav Preeta Madhya Divas Ati Sheet Na Ghama Pavan Kaal Lok Vishrama” Happy Sri Rama Navami. WhatsApp Message Reads: Let Us Pray Sacred Mantras, In the Praise of Eternal Savior, ‘Om Sri Ram Jai Ram Jai Jai Ram’. Wish You Be Accompanied by Blessings of Lord Ram. WhatsApp Message Reads: Ram Ji Ki Jyoti Se Noor Milta Hai Sabke Dilo Ko Shurur Milta Hai Jo Bhi Jata Hai Ram Ji Ke Dwar Kuch Na Kuch Jarur Milta Hai. “Happy Ram Navmi”. WhatsApp Message Reads: Ram Jinka Naam Hai, Ayodhya Jinka Dhaam Hai, Aise Raghunandan Ko, Humara Pranam Hai, Aapko Aur Apke Parivaar Ko Ram Navami Ki Shubhkamnaye! Go to Play Store and you will find so many apps providing easy Rama Navami WhatsApp Stickers festive pack for easy download. Not only WhatsApp stickers, but you will also get Rama Navami 2019 photo frames, Rama Navami 2019 GIF greeting cards, Rama Navami 2019 wishes in Hindi, Marathi, Telugu and Kannada to wish your family and friends a very Happy Rama Navami 2019. You can download it HERE. Some of the most important places where grand Rama Navami celebrations will take place are at Ayodhya and Sita Samahit Sthal in Uttar Pradesh, Sitamarhi in Bihar, Janakpurdham in Nepal, Haridwar in Uttarakhand, Puri in Odisha, Bhadrachalam in Telangana, Kodandarama Temple at Vontimitta in Andhra Pradesh and Rameswaram in Tamil Nadu. We wish everyone celebrating this beautiful festival a very Happy Rama Navami to you. We hope you follow the path laid down by Shree Rama, imbibe strong characteristics and values of Rama.